Father's Day Gifts fit for a Prince - What Would Kate Do? With Father’s Day right around the corner (June 19th!) we can only imagine that Kate would be just as interested in gifting William with a perfect token of her appreciation for his role as father to Prince George and Princess Charlotte. While we all know, of course, that a commercialized holiday and gifts are not what truly makes us appreciative of a father, but it is a nice reminder once a year to take some time out of your day and honour the men who play such key roles in our lives. 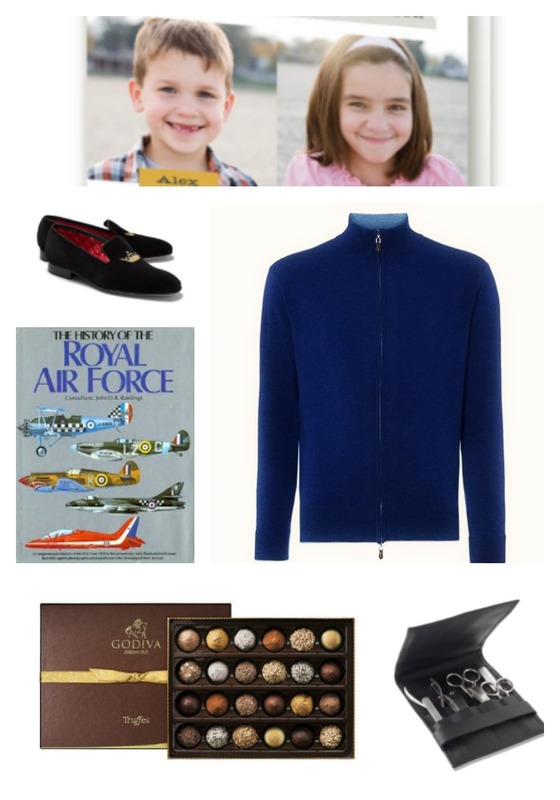 Whether it’s your husband who is father to your children, your dad who raised you, a stepparent who plays the role or just a man who has stepped in to act as a role model, here are some of our gift ideas to celebrate them this Fathers Day – all inspired by gifts we think Kate could purchase for William. N. Peal Knightsbridge Zip Cashmere Sweater (£319) It’s no secret that William loves blue sweaters, he’s been spotted in them countless times and we’ve even spotted him out purchasing them himself! We think Kate would definitely like to buy him something that he loves, but perhaps take it up a notch with a classic look in the highest quality Mongolian cashmere from luxury British brand N.Peal. N.Peal has been a staple of British luxury clothing since WWII, with both Princess Diana dan Princess Grace having been fans of the brand – and Kate adding herself to the list. If you’re not sure about the sweaters, check out their James Bond collection, as seen in the most recent Bond movies. I think you’d be hard up to find a man who didn’t at some level wish he could be like James Bond, no? This is a definite winner! Personalized Fathers Day Cards ($5.99) Some of the best quotes you’ll find about fathers come from the mouths of the little people who look up to them. If you have little people around, why not ask them why their dad is the best? Then memorialize it for forever on an adorable card with a recent photo. Undoubtedly based on the number of photos around Kensington Palace and the adorableness of their children, Kate would approve of this option. Godiva Signature Truffle Chocolates Selection (£34.00) Do you know anyone who would turn away a box of delicious chocolates? A treat for anyone, Godiva’s chocolates are known to be as elegant and scrumptious as they come, and perfect for a dad with a sweet tooth. Given William’s love of sweets (remember the groom’s wedding cake, anyone?) we think he would love a box (or two) from his wife and children this Father’s Day. A perfect gift for a child to give to their father! The Art of Shaving 7 Piece Accessory Set ($160) Men won’t often buy themselves quality versions the little things that make up their grooming kits. As Kate demonstrates in her clothing, it’s important to always favour quality and this accessory kit of everything a modern man needs – tweezers, scissors and more – is of highest quality standards. A luxurious upgrade that he’ll thank you for everyday! History of the Royal Air Force (Varied) Finding a vintage book, out of print, about a subject that he feels passionate about will put you squarely in the “thoughtful and appreciative” category. With the internet, it’s easier than ever to track down rare books, like this history of the RAF which William will obviously feel strongly about. Wrap it in some newsprint paper and you’ve got a thoughtful, classy and elegant gift! Brooks Brothers Velvet Crown Slippers ($298) Perhaps a little obnoxious for the future King of England… But every other man is the King of their domain, right? Why not advertise it with these luxurious slippers that he can relax into after a long day and feel like a Prince, even if HRH isn’t on his business cards. Do you have any go-to Fathers Day gifts? What will be on your list for the man in your life this year?